Home/Advice/What are the benefits of Weld Mesh Fencing? When it comes to security fencing, one of the best choices is welded mesh fencing. It’s durable and safe design offers everything you need for a wide range of scenarios. Here we have detailed 5 advantages of choosing Weld mesh fencing. Our welded mesh panels are constructed from steel which offer durability and unmovable stability. 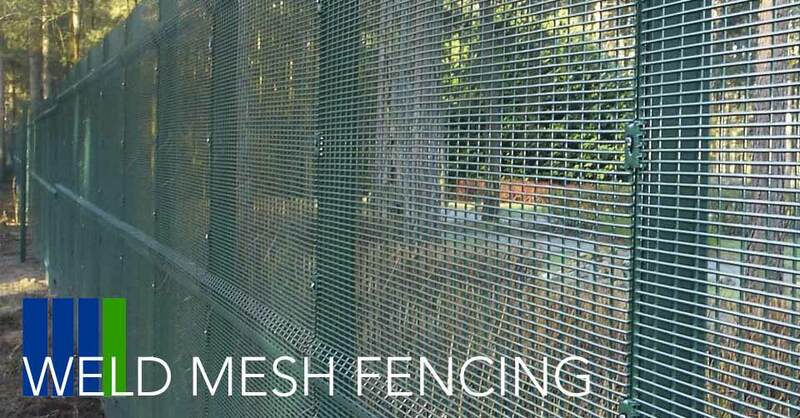 The design of welded mesh has been constructed to ensure maximum resilience for potential intruders to climb or vandalise. It is also tough enough to take impacts from large animals and vehicles without taking the damage normally found in other fencing types. It’s lightweight design allows wind to pass through the panel, reducing the chance of any damage due to strong winds or stormy weather conditions. This results in very little maintenance once installed. This style of fencing can be adapted to be used with other security measures such as CCTV. Ideal for schools, business’ and many surroundings requiring maximum security and to survey the perimeters. The gaps created through the security mesh fencing offers spectators, of sports games to watch and support from behind the fence without interfering with the game or the players. Our welded mesh fencing has been manufactured to endure regular use, to be easy to maintain and to last a lifetime with minimal maintenance and repair. If you are thinking of choosing welded mesh fencing then please get in touch and we would be happy to give you a quotation and to help you further. Email us at info@fourseasonsfencing.co.uk or call us on 01233 820240. Alternatively you can fill in our contact us form and we will get back to you as soon as possible.